Most of the time, if you call a septic company, you are dealing with a major mess. Whether you’ve smelled that smell that means it’s time for a septic pumping, or perhaps you have a more major dilemma and you need to repair or replace your tank, septic troubles are no fun. But, there is another service that septic tank companies offer which is not quite as painful. 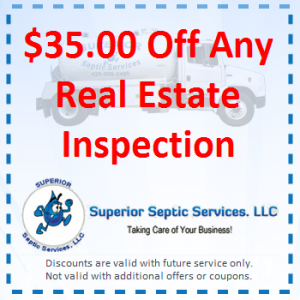 Septic inspection, one of the services that Superior Septic Service specializes in, is a vital service, especially to those looking to buy or sell a home. When you are thinking about purchasing a home, you want to check out everything that could possibly be wrong with the property. You look for mold, check out the basement, make sure the appliances work and many other tasks. However, one thing you may not consider is the septic tank. Getting a septic inspection is a simple way to make sure you don’t get stuck with some major repairs down the road. The experts at Superior Septic Service in Lynnwood, WA can come out to the property and do a thorough inspection to make certain there are no hidden problems. 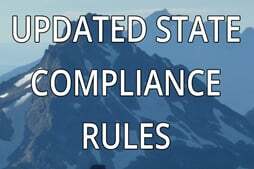 If they find any issues, they will issue a report, so you can discuss the issue with the sellers before you find yourself in a contract. This may save you thousands of dollars down the road. Finally, if there are repairs that need to be made, you’ll find the rates offered by Superior Septic Service are often considerably lower the the competition. Have a septic inspection just makes sense. If you are considering selling your house, you may want to get the inspection ahead of time, and have the ability to let your potential buyers know that you have a well-running septic system that is move-in ready. Trust your septic inspection, and all other septic issues, to the best. Choose Superior Septic Service in Lynnwood for all your septic tank needs.